Reward Van Hire is a leading UK minibus hire company that is ready to provide a staggering 29 percent discount on all weekly minibus hires. The company also specialises in providing fifteen seat minibuses for hire and has also recently removed its twelve and seventeen seat minibuses and replaced those with brand new Ford Transit fifteen seat minibuses. Illuminated side and rear door steps. To contact this UK minibus hire company, you can visit their office in person at 77 Islip Street Kentish Town London NW5 2DL or you can call 020 7284 2703. National Minibus Hire is a leading UK minibus hire company that has been providing minibuses and coaches on hire for more than a decade. It has an excellent selection of minibuses for hire including those that can accommodate six, twelve, fourteen, sixteen and eighteen as well as 24 and even 25 passengers. 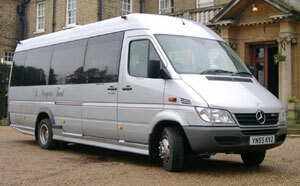 The company also offers standard and executive minibuses for hire. The company’s email support team will reply to all your email queries within twenty-four hours. You can also use the company’s online enquiry form to obtain more information and you can also dial 0161 408 9552 (from the north of England) or 020 3286 5257 if you are calling from the south. To contact this UK minibus hire company, you can visit its offices at 7 Fidlas Road Llanishen Cardiff CF14 0LW. You can also send an email the company and by dialling 0845 344 1390 you can speak to the company’s reps on the phone. To contact this company, you can send it an email or you can dial 01494 461444 to speak to their representatives.